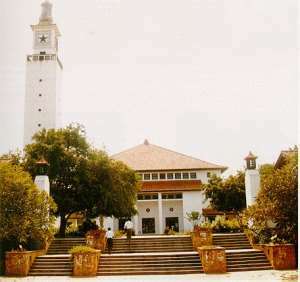 The Okyenhene and elders of the Akyem Abuakwa traditional in the Eastern Region of Ghana area have suggested that the University of Ghana should be renamed after Dr J.B. Danquah, a member of the “Big Six,” for his role in establishing the university. The Okyenhene was speaking at the memorial thanksgiving service at the Kyebi Ebenezer Presbyterian Church to mark the 40th anniversary of the death of Dr Danquah. He said renaming the university would be the appropriate way for showing the country's appreciation for the good works of the late statesman.